Honda is a Japanese manufacturer of cars, motorbikes and other engines. Honda is known across the globe as a car manufacturer that brings quality and performance, at great prices. Honda believes in state-of-the-art technology as standard and building cars that are made to last. This makes them a smart choice for a used car. With so many used Hondas for sale, you are spoilt for choice! Plus, when they’re all about the speed, affordability and low Co2 emissions, you really can’t go wrong. Browse RAC Cars' range of used Hondas to enjoy efficiency and long-lasting motors at prices that won’t break the bank! 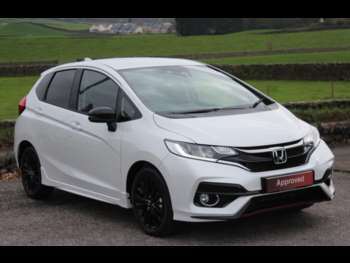 There is a Honda to suit a variety of different lifestyles, but the most popular models are the Honda Civic and the Honda Jazz. 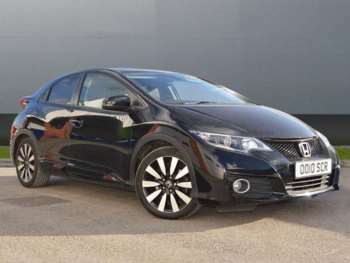 These cars are both suited well for family life, with the Jazz being a supermini and the Civic, a more sleek-looking design which has often been described as looking like nothing else on the road. Some other frequently bought models include the Honda Insight (hybrid family hatch), Cr-Z (hybrid coupe), Accord (medium range saloon and estate), CR-V (medium 4x4), S2000 (roadster) and the NSX (supercar). No matter which model is your preference, Hondas come with unparalleled long-term value, technical innovation and distinct designs. Since Honda came on the market in 1963, they have been doing something a little different to their main competition. Their focus is on making high-quality, long-lasting and super stylish cars that integrate innovative technology throughout. Known for selling motorbikes and later becoming the second-largest Japanese automobile manufacturer, used Hondas are an investment that’s worth every penny. Over the years, Honda have been recognised for their outstanding contribution to the motor industry. They were named “UK’s Most Reliable Car Manufacturer” for the ninth consecutive year by What Car. Got a specific Honda model in mind?